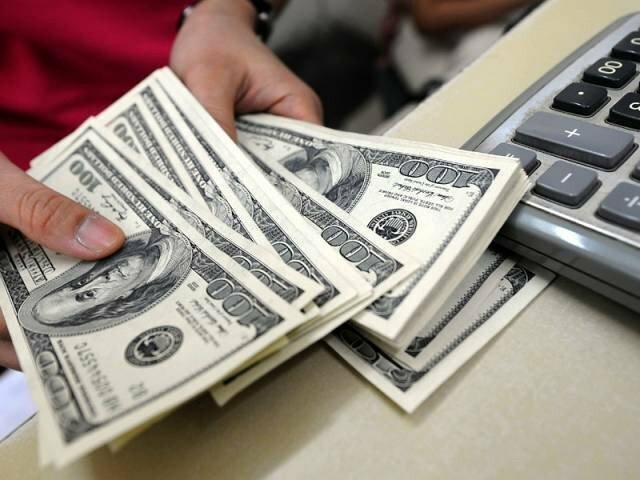 Sudden devaluation of local currency against the US dollar was witnessed in interbank trading on Friday morning as the greenback hit an all-time high of Rs144 during intraday trading. Sources told that the sudden rise of Rs10 in the value of the US dollar is based on the government’s commitments to the International Monitory Fund (IMF). The US dollar, which was being traded at Rs134 yesterday, opened higher at Rs142 on Friday while the local currency further devalued by Rs2 to Rs144 before setting to Rs140 at midday. Later in the day, Finance Minister Asad Umar addressed the issue and said that the State Bank of Pakistan (SBP) sets the currency rate. Defending the decision, he shifted the blame onto the PML-N, saying the devaluation was imminent due to the flawed policies of the previous ruling regime. He added that the devaluation was necessary because of a number of reasons, including increased foreign loans, decreased foreign exchange reserves, low exports and artificial cap on the value of dollar. “Rupee value cannot be controlled forever. Even during the PML-N’s tenure, the value of rupee against dollar had reduced by Rs28,” he said. “We artificially increased the value of rupee by purchasing dollars. As a result, we started importing vegetables and we were unable to export surplus sugar and wheat without providing subsidiary,” he said. “We had two options; either to continue the old practice of artificially controlling the value of rupee [or to devalue the rupee],” the finance minister said. Zaffar Paracha, General Secretary of the Exchange Companies Association of Pakistan (ECAP), told that the sudden devaluation of rupee has created a panic in the market. He said that the traders are expecting the open market to open at around Rs143 to Rs144. He said that the devaluation was expected due to the current dialogues between the government and the IMF. “It seems a continuation of the IMF’s condition for a bailout package,” he added. Paracha demanded of the government to properly announce the devaluation to end the panic among currency dealers. Another analyst Ahsan Mehanti said that the move was unexpected for the interbank market as the country has not yet entered the IMF programme. “Owing to the devaluation of the local currency in the recent past, the government was being expected to discourage the rupee devaluation,” he added. “It is not good news for Pakistan,” he said, adding that it will also increase the import bill of the country. According to Mehanti, the IMF was asking the government to bring rupee value at Rs145 per dollar and the interest rate at 10.5 per cent as a precondition for a bailout package. “It seems that the government is complying with the IMF’s demands,” he concluded. Senior analyst Khurram Hussain says it appears to be a controlled event. He said that the SBP might comment on this at the end of the day or while issuing the monetary policy. He ruled out the possibility of black marketers behind the sudden fall as suggested by PTI leader and federal minister Faisal Vawda. It is the first major devaluation strike against the local currency during the Pakistan Tehreek-i-Insaf-led (PTI) government in the country. Earlier on Oct 9, 2018, the value of the dollar had shot up by Rs11.70 in the interbank market during trading before closing at Rs133.64. It had closed the previous day at Rs124.27 to the dollar a day earlier. The State Bank of Pakistan (SBP) had explained the move as reflective of current account dynamics and a demand-supply gap in the foreign exchange market. The top bank had stated that it will continue to closely monitor the situation and “stand ready to intervene” in case of any unwarranted volatility in the foreign exchange market. During the two months of the caretaker government, the local currency had been devalued to Rs130 per dollar from around Rs102 per dollar. The dollar was traded at Rs130 just before the general elections. Earlier, in December 2017 and in March 2018, the rupee was devalued, each time by about 5pc, by the central bank.